Strategic Management Blog: From Theory to Practice A Peek Behind the Curtain: How Do Successful Companies “Innovate”? The topic of innovation can be daunting, filled with vague terminology and mysterious processes. How does an organization innovate? How does one create a culture of innovation? And how does one guard against – or create – disruptive innovation? And what does all of the above even mean? Think of some of the best known innovators. Thomas Edison – known for creating the light bulb. 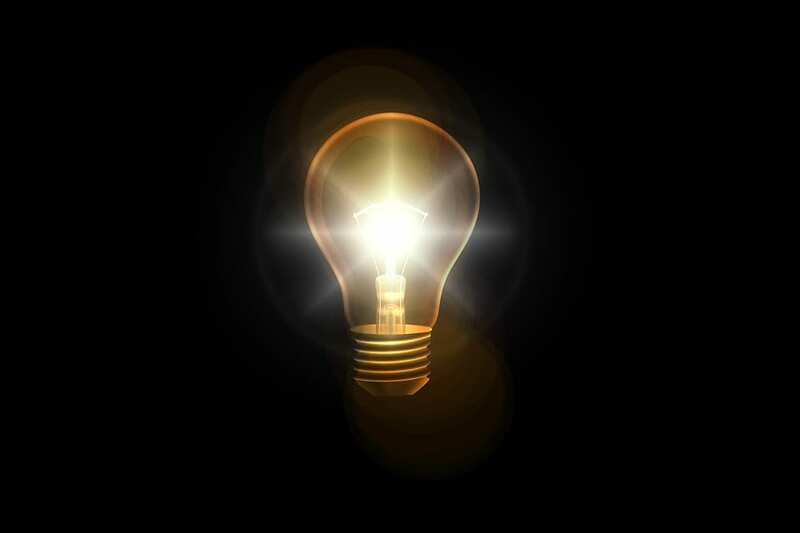 Edison did not actually invent the light bulb. The short version of the story is that he bought a patent, hired someone to design a better filament, and then popularized the usage of light bulbs. In other words, he connected some things that already existed and figured out how to monetize the idea. Henry Ford – known for creating the moving assembly line. Ford had a strategic goal to standardize his assembly process in order to drive down costs. He took many ideas from the gun manufacturing industry. But when he visited a meat processing plant and saw pigs being moved down a ‘disassembly’ line, he realized he could do the same thing in reverse to further streamline the assembly of automobiles. One idea built upon other ideas. Edison and Ford. These are examples of incremental innovation – it simply means to take something that exists and make it better. So what does the term disruptive innovation mean? Many people associate this with the mysteries of a skunkworks operation. The truth is, all innovations are incremental innovation. One idea combined with another idea to create something better. The term disruptive innovation is applied when the idea ends up disrupting the way things are done in an industry or changes consumer behavior. And actually, Edison and Ford are remembered because their innovations became disruptive. A modern example of disruptive innovation is Uber. Uber used incremental innovation to solve a problem. Taxis are not always available to be hailed when one needs a ride (Houston, Dallas, and Austin are great examples of this). People and organizations in those areas do have cars for hire (the first Uber drivers were actually taxi drivers). So, that left one strategic problem to be solved: how to connect the rider with the driver – how to “hail a ride” when the physical taxi is not in front of you? Most people have smart phones and voila! Uber was born by creating an app that connects drivers with people who need rides. Why is it considered disruptive? Because Uber has disrupted the taxi industry by changing consumer behavior. Taxi revenues are falling fast and many taxi companies have chosen to fight by appealing to city hall and to the courts. But New York City Yellow Cab has figured out how to innovate. They have created their own app that allows one to hail a driver and enjoy the same seamless consumer experience as Uber but with known, trusted, trained Yellow Cab drivers. Yellow Cab has the strategic advantage of already having a huge network of trained and trusted drivers. So they one-upped Uber by innovating their own processes to deliver the same customer value proposition as Uber plus a safe experience with a known brand. This is incremental innovation in response to disruptive innovation. Innovation, incremental innovation, disruptive innovation – it is not really that mysterious, after all. What is mystifying is how organizations continue to innovate. Much has been written on the topic of how organizations implement an innovation process. The crux of an innovation process is that once an idea is generated, there is a process for ideas to be captured, vetted, selected, tested, and put into production. And there are stage gates along the way for deciding whether an idea should proceed to the next step or if efforts to bring the idea to life should cease and the organization should move on to the next idea in the pipeline. So, creating a standardized process to manage from idea to execution (and monetization) is pretty straight-forward and well documented. And having a process in place encourages an open sharing environment which empowers staff to bring forward their ideas as well as provides a safe way to test ideas (fail early and fail fast). Whereas the truly difficult part is figuring out how to generate the ideas in the first place. This is often referred to as “creating a culture of innovation.” The organization must create the right environment for staff to think of new ideas such as a way to increase production, lower costs, improve a product, improve customer service, penetrate a new market, grow the customer base, use existing infrastructure and processes to launch a new product, and so on. Ideation itself cannot be prescribed to follow a standard process. Ideation occurs when the human brain makes unexpected (new) connections. There are three things needed to create the right organizational conditions to spark new ideas for innovation. First, ideas occur when the mind is relaxed – while taking a walk, while showering, while day dreaming. Some companies, such as Google, create off-duty creative thinking time by setting aside a number of hours per week for the employee to work on anything they want as long as it is related to the company. But very few businesses can afford this luxury. For most companies, ideas occur when the staff is actually away from the office, during their personal time. If they are thinking about the business while their mind is wandering, they may make creative connections involving the business. But if their brain is going to work on solving business problems while they are away from work, they must be passionately engaged in the business and enjoy thinking about work. In other words, they must find thinking about work to be pleasurable. Start-up companies generate ideas at a furious pace – teams are working night and day to make a go of the business. It’s exciting and the individuals are energized to think about work all the time. Strategic problems are easily identified and fun to work on. Whereas mature companies must find ways to keep employees excited about work. The most powerful way to get employees excited about work is to tie the business itself to a higher level purpose. Instead of being about making money, the business is really about making life better for customers, stakeholders, the environment, or the world. Daniel Pink, researcher and author on the topic human motivation, has found that most employees are motivated by doing something of value – by contributing to a greater good. Jim Stengel wrote a book called “Grow” which profiles companies that work towards a higher ideal and have consequently outperformed companies that don’t. Stengel states that ideals “powerfully inspire continuous innovation toward higher-order benefit.” Simply stated, employees don’t bounce out of bed with excitement to get to work and help make a profit for the owner whereas they do get energized about doing something that matters – making a difference. So, what does this look like in a practical sense? The higher purpose is typically part of the organization’s mission statement. Mary Kay Inc., a Dallas-based company, states that “We believe in a larger purpose: helping others to achieve their dreams.” This mission with a higher purpose guides their business decisions and inspires their employees. The company doesn’t exist to make money for the owners, rather the business makes money so it can continue to invest in providing economic opportunities for others, specifically by providing career opportunities for millions of independent beauty consultants around the world. There are stories of Mary Kay Inc., choosing to stay in markets that are operating at a loss because the mission of helping to create jobs is so fundamentally important. Now that’s a reason to bounce out of bed! Second, in order to make new connections the brain must be stockpiled with information upon which to draw. If one is intellectually curious and is constantly learning, exploring, and adding information to the memory, then the mind becomes fertile ground for making new connections. Frank Lloyd Wright is a remarkable example of how various interests and ideas connected to create something extraordinary. When he created the innovative design for Fallingwater – the breathtaking house that is built over, and as part of, a waterfall, his colleagues said the design just poured out of him in under two hours. Architects who have studied Wright point to how this design was influenced by several things that Wright was known to be studying at the time. He was steeped in transcendentalism (the belief that human life is part of nature) and had also been intrigued with the new designs of European Modernists, the balconies on the Chicago Tribune Tower, and the developments in cantilever technology. Fallingwater simply blends these various ideas in a new and creative way. People who are most creative tend to be those who are constantly exposing their minds to new information – they attend learning events, read and share professional books and articles, network with people inside and outside their own industry, and pay attention to current events and developments around the world. A leader can model and encourage this behavior by talking about what s/he finds interesting, what s/he has learned recently, and by encouraging staff to pursue learning opportunities as well as personal interests. Third, a spark needs to ignite for the idea to form. To generate that spark of creativity, it is possible to “seed the cloud of inspiration” with a strategic problem to solve. Uber founders Kalanick and Camp were together at a conference in rainy Paris and found themselves talking about how annoying it is to try and find a cab when carrying luggage in the rain and no taxi seems to pass by. Whereas Ford wanted to find a way to make reliable cars that were affordable for most Americans. A relaxed employee feels a sense of purpose in the work his/her company does and enjoys thinking about some key strategic problems that the h/she knows the company wants to improve upon. Connections start firing in his/her well-stocked brain and h/she puts together a new idea. There is an innovation process in place to submit this new idea which moves through the development pipeline. The result is incremental innovation that just might become disruptive to the industry or to consumer behavior. In plain English: Most employees love solving problems for a company they enjoy working for. Problem solving leads to new ideas. Every now and then, a new idea can disrupt the way things are done. One CEO tells of an hourly worker who looked at him one day and asked, “Did you know this mostly is the same equipment we used when I worked in another industry? I’ve been thinking, why don’t we use our excess capacity for that?” The CEO diversified into the other industry, took the competition by surprise, and his company achieved remarkable results. It makes one wonder, which employee has the next big idea? Based in Dallas, TX, Gail Stout Perry is Chief Strategy Officer & VP of Sales for Corporater. Corporater is a global software company that empowers medium and large organizations to evaluate, manage, and continually improve business performance by providing a business management platform that adapts to client’s unique business model, out of the box. www.corporater.com. Interested in more information tackling strategic problems? Head over to our resources page for more helpful information! Gail, This is a terrific article. I especially appreciate the emphasis you placed on “mission” and “people.” Thanks so much!